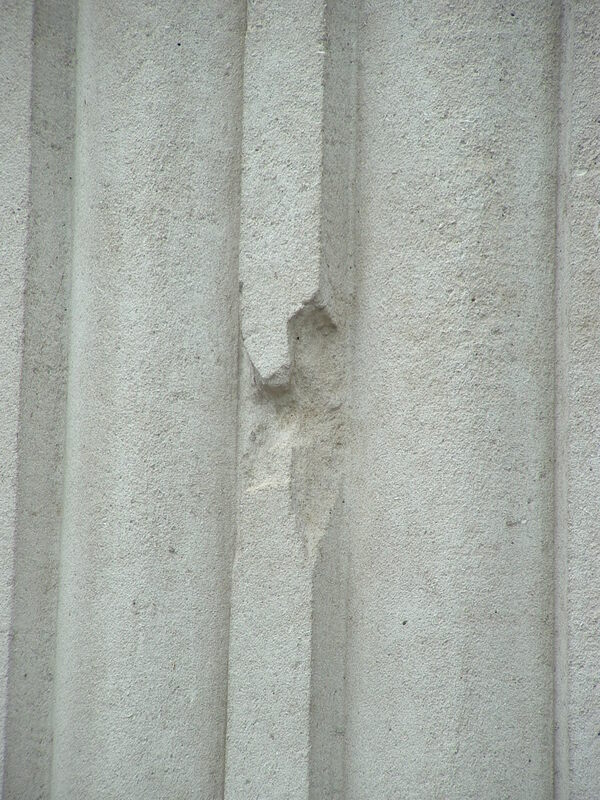 More than four years ago now, I published a short series of posts featuring a few of the sites in Dublin that still bear the scars of battle (such as the bullet hole above, on one of the columns outside the General Post Office in the centre of the city) from the Easter Rising of 1916. Since then, on two further trips, I have visited many of the other areas of Dublin where fighting took place that April week, and over time I intend to not only bring you a new series of posts featuring my recent travels, but also to republish, with major photographic additions and textual amendments, the original Rising posts. This being the first. 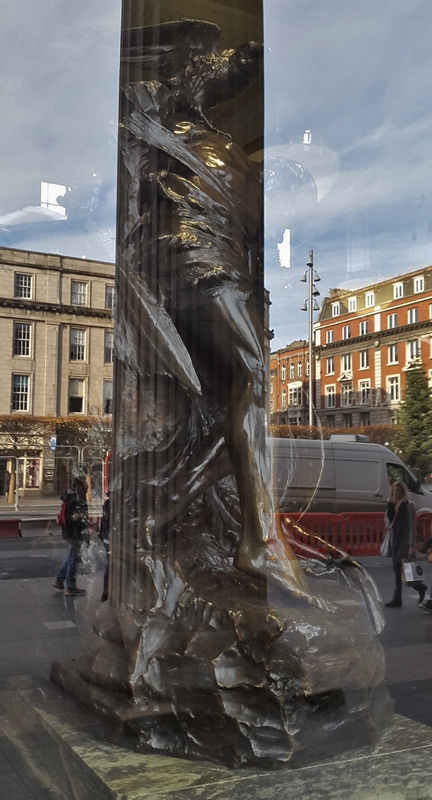 The origins of the Easter Rising can be traced all the way back to 1800, or further, should you care to explore back that far, but if you think you are going to get what in essence would be a potted history of Ireland from me, you are about to be sorely disappointed! No. That really would be beyond the scope of this website. A quick search of the web will uncover a number of sites that will give you a very good basic overview of the Rising and its causes, but nothing beats a good book on the subject. What the forthcoming Rising posts will do is show you many of the places, some almost completely unchanged in one hundred years, where the story of the Rising unfolded, along with a brief account of what happened at each one during the six days of fighting back in April 1916. 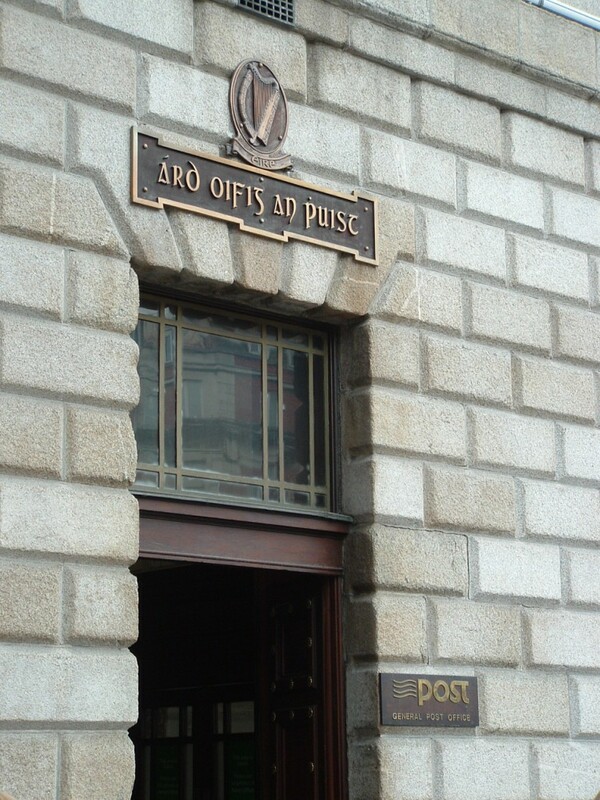 The Irish flag now flies over the General Post Office, rebel headquarters during the Rising. In 1912 the Third Home Rule Bill was passed by the House of Commons in Westminster, finally ensuring, after more than a hundred years, the return of an Irish Parliament to decide Irish affairs. 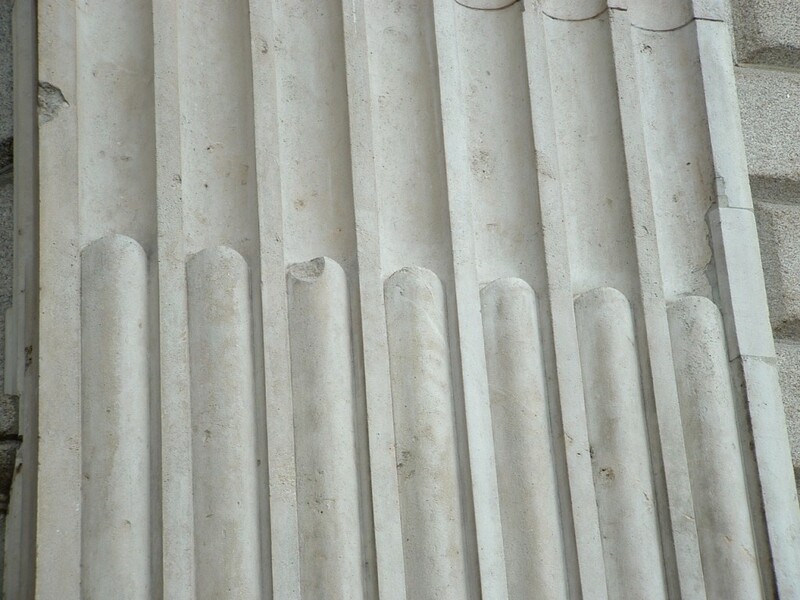 Despite the House of Lords imposing a two year delay on the implementation of the Law, Irish home rule (although not actual independence) was now guaranteed. Apart from one thing. When the German army invaded Belgium on 4th August 1914, thoughts of Irish home rule were soon far from the minds of Asquith and his Government. 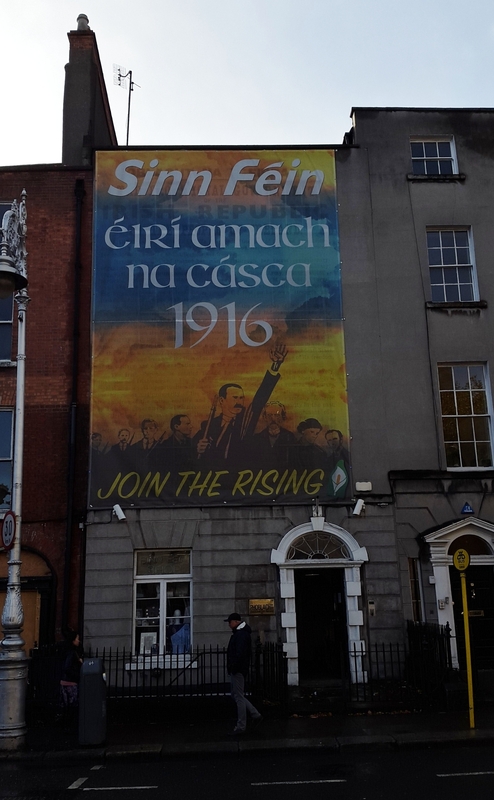 Not so, however, for the Irish republicans, some of whom decided that, by 1916, with the British mired in the mud of Flanders and France, the time was right for rebellion. 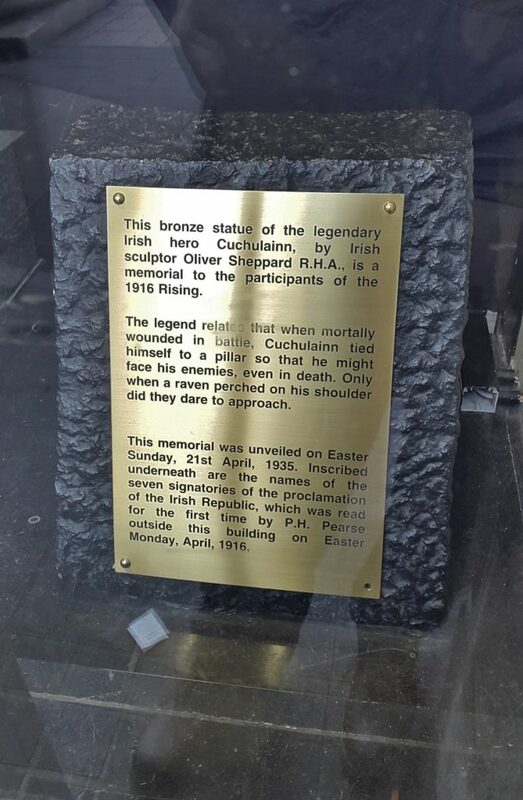 The Easter Rising began on the morning of Monday 24th April, and ended, to all intents and purposes, on Saturday 29th April 1916. 116 soldiers of the British Army were killed, alongside 368 wounded and 9 missing, and 16 policemen also died, and a further 29 wounded. Irish casualties, including civilians, amounted to 318 dead and 2,217 wounded. 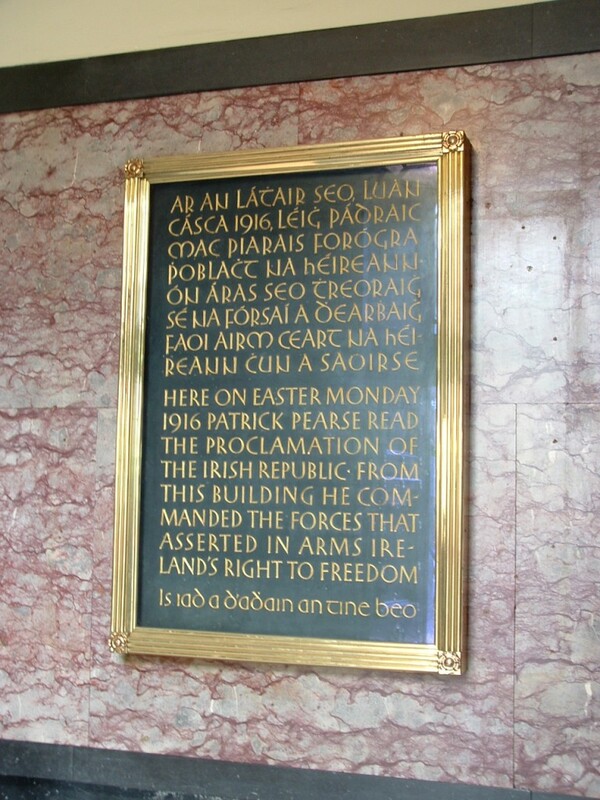 Our tour of the Rising sites begins at the GPO in Sackville Street (now O’Connell Street), where Pádraig Pearse first read the Proclamation of the Republic (below) in the early afternoon of Monday 24th April, and which was subsequently heavily damaged by fire before its evacuation the following Friday. 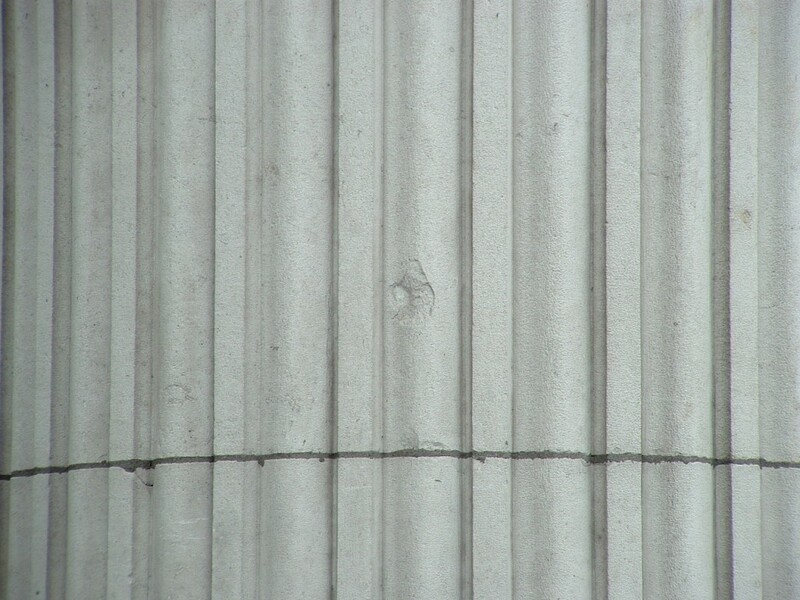 Today, the facade of the GPO is still pockmarked with shrapnel and bullet holes from the fighting a hundred years ago. As Great Britain turned her attention towards Europe in the autumn of 1914, in Ireland, six distinct armed factions were in operation, three of whom supported British rule, and three of whom were committed to achieving Home Rule. The British Army, Royal Irish Constabulary and the 100,000 strong Ulster Volunteers, led by Unionist politician and barrister Edward Carson, were all committed to maintaining British rule in Ireland. On the Republican side, the National Volunteers, led by John Redmond, believed in achieving Home Rule within the British Empire by constitutional means; some 200,000 strong, it was men of the National Volunteers who provided the majority of the Irishmen from outside Ulster who fought as members of the British Army on the Western Front during the Great War. 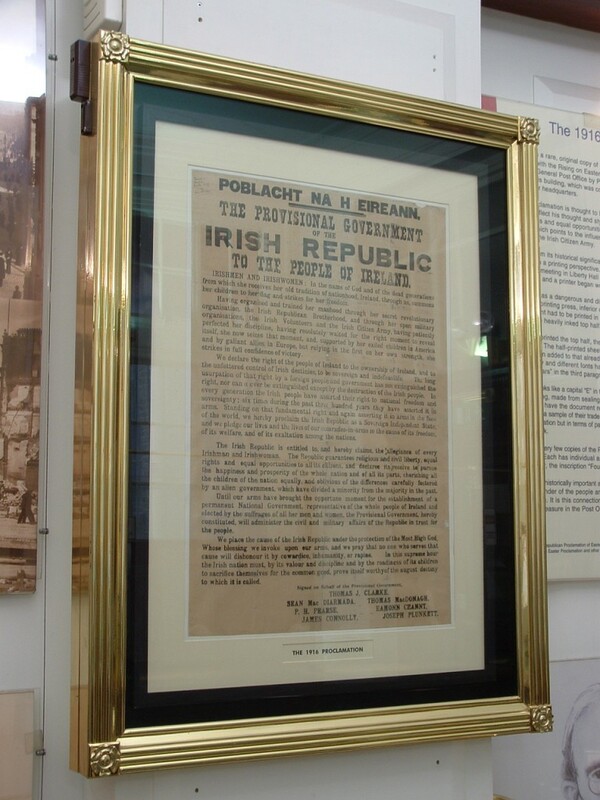 Although the second Republican group, the Irish Volunteers, formed in southern Ireland in 1913 under history professor Eoin MacNeill, were amalgamated into the National Volunteers the following year, a hard-core of some 12,000 members almost immediately left the movement and reformed the Irish Volunteers, their purpose being to achieve Home Rule by force of arms. They, in turn, would soon be taken over by the Irish Republican Brotherhood, a secret oath-bound organisation founded in 1858 and dedicated to establishing a democratic republic in Ireland; by 1916 Republican names that would become famous could be found within their ranks including Sean MacDermott & Tom Clarke, instigators of the Rising. The Irish Citizen’s Army, formed in November 1913 to protect striking workers from police brutality during what was known as the Lockout of 1913, were committed to an Irish rebellion which, by encouraging other nations, would result in the eventual downfall of the British Empire. 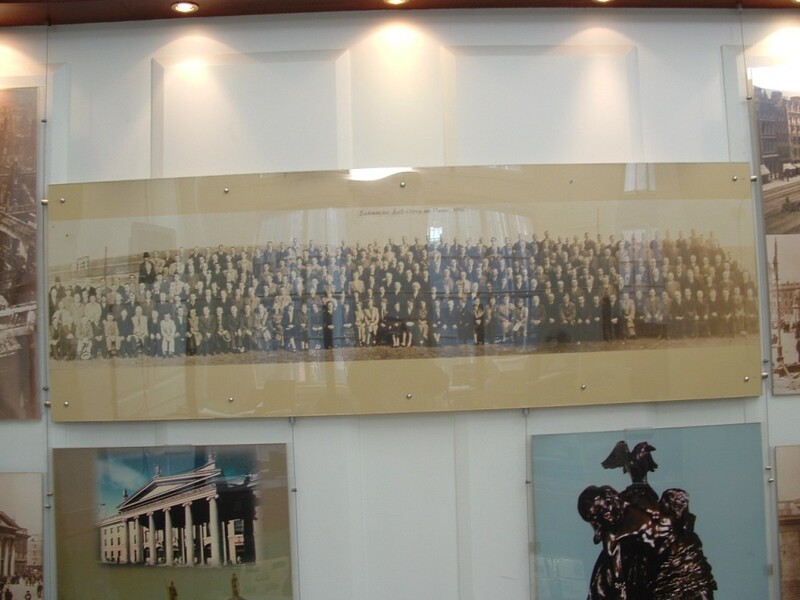 Never more than 300 strong, some of the Republican names that would become well known within their ranks included James Connolly, Seán O’Casey, Michael Mallin & Constance Markievicz, to name but four. All of which, combined with, by 1916, the British Empire’s total committment to defeating the Central Powers and winning the war in Europe, created a scenario ripe for Civil War across Ireland. 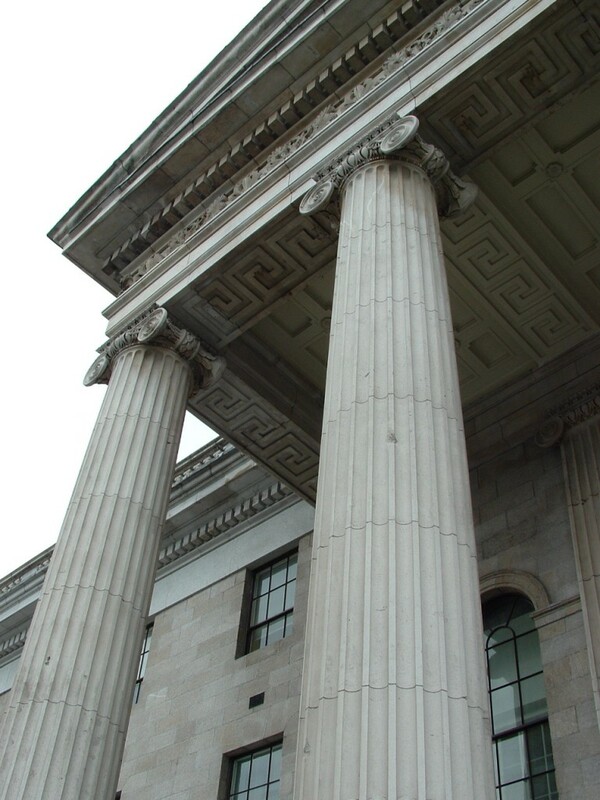 At 10.00am on the morning of Monday 24th April 1916, rebel forces began to gather at prearranged muster points throughout Dublin. Over the next two hours some 1600 men and women occupied a series of prominent buildings across the city which they then began to fortify, and awaited the British response. 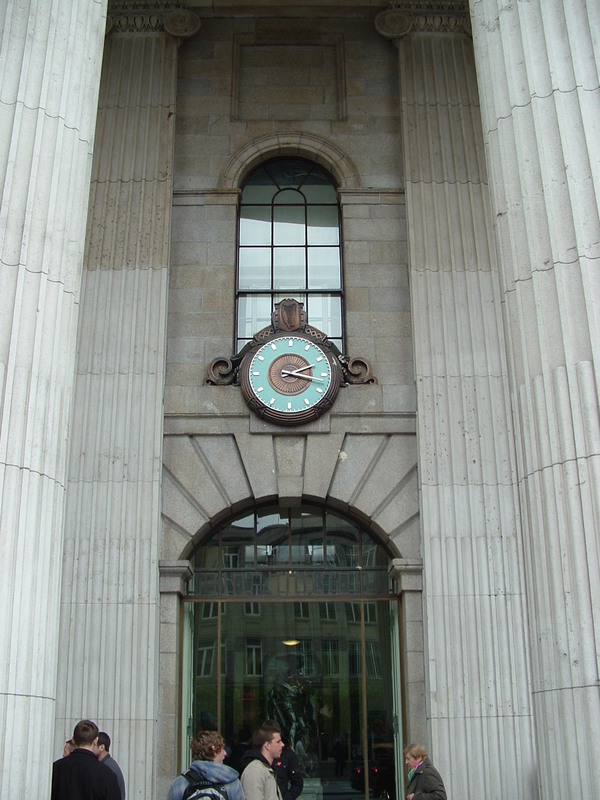 At 12.45pm, a document issued by the Irish Volunteers & the Irish Citizen’s Army, and read by Pádraig Pearse on behalf of the Military Council of the Irish Republican Brotherhood, the self-styled Provisional Government of the Irish Republic, here outside the GPO, proclaimed Ireland’s independence from the United Kingdom. The Easter Rising had begun. 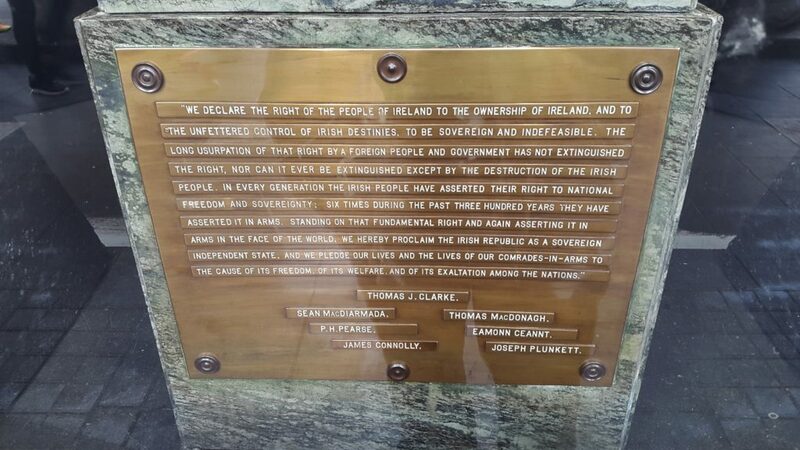 A plaque inside the GPO entrance commemorates the Proclamation of the Republic. 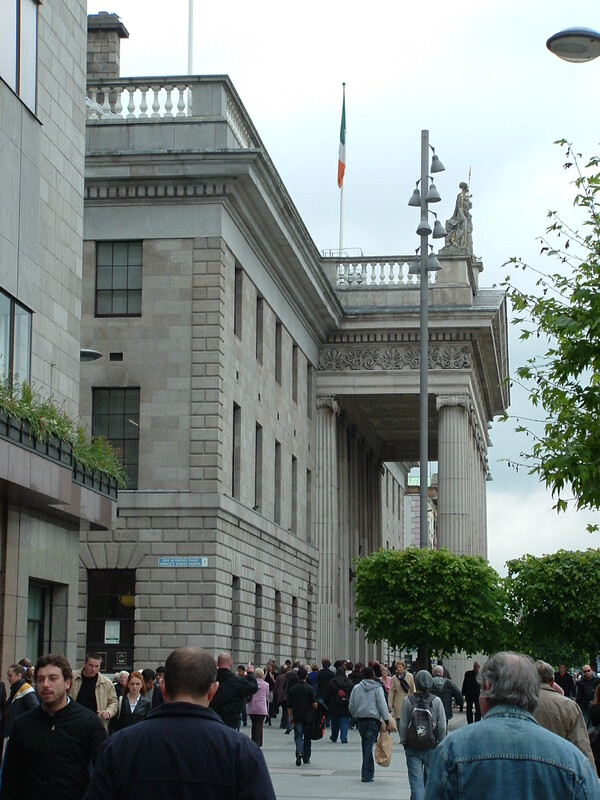 Interestingly Pearse’s words were greeted with general indifference by the crowd thronging the streets outside; it was events immediately following the Rising that would change the attitude of much of the Irish population. 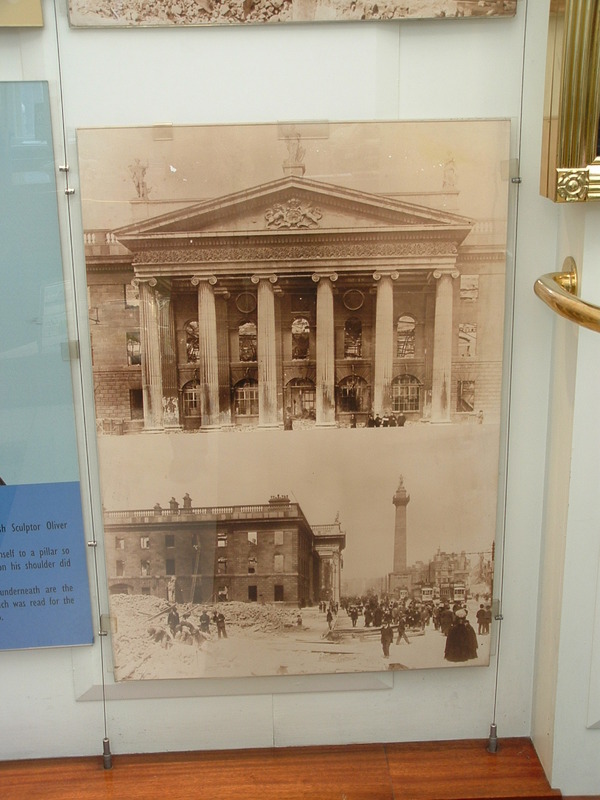 As mentioned, the GPO would become the rebel headquarters during the week, and the building itself would be gutted by the end of it, as the before and after shots in this series of photos, on display inside the modern GPO, show. 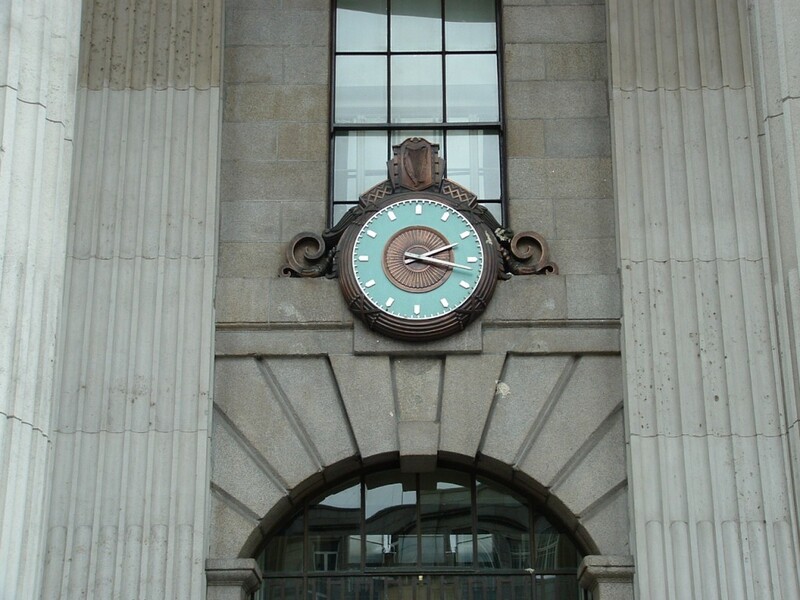 Rebels under James Connolly entered the GPO building just before noon, establishing their headquarters there and immediately fortifying the ground floor with whatever came to hand. 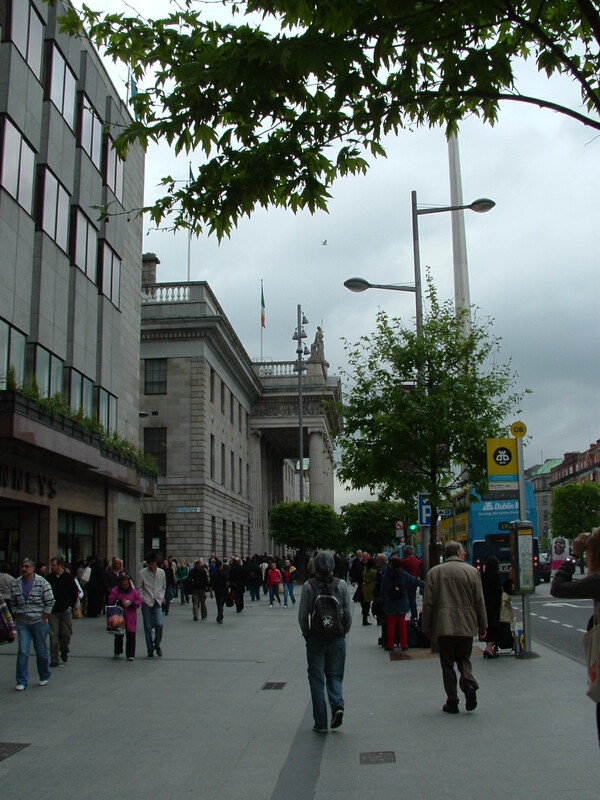 Within the hour, Patrick Pearse would make his proclamation from the front steps, and the first shots would ring out at on Sackville Street (not, however, the first shots of the Rising), as rebels in the GPO and the buildings opposite exchanged fire with a detachment of the 6th Reserve Cavalry Regiment making their way south down the street to investigate. Three cavalrymen, who were made up of men from the 5th & 12th Lancers and two regiments of London Yeomanry, some carrying only lances, were killed, and a fourth mortally wounded before they pulled back. 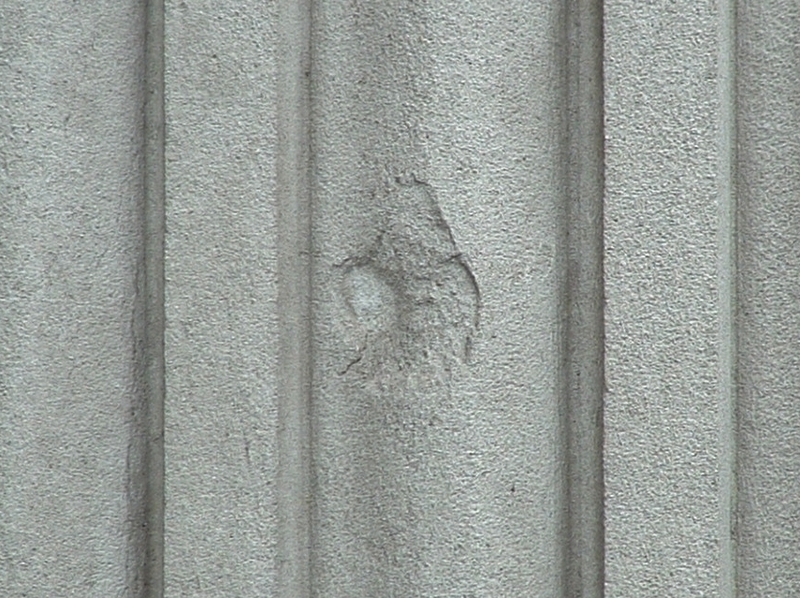 The consequences of the first exchange of fire in Sackville Street were twofold. The Irish defenders of the GPO considered that a British frontal assault on the building was now inevitable and therefore only a matter of when, not if; the British, now well aware that the GPO was already heavily defended by rebel soldiers, erred on the side of caution and decided to play a waiting game. 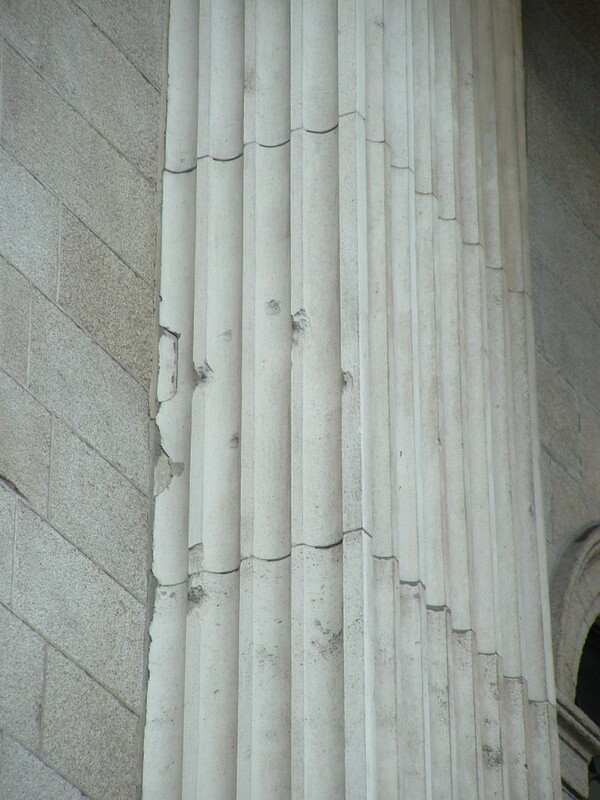 More bullet holes are evident on the pillars to the right of the entrance to the GPO building (above & photos below). 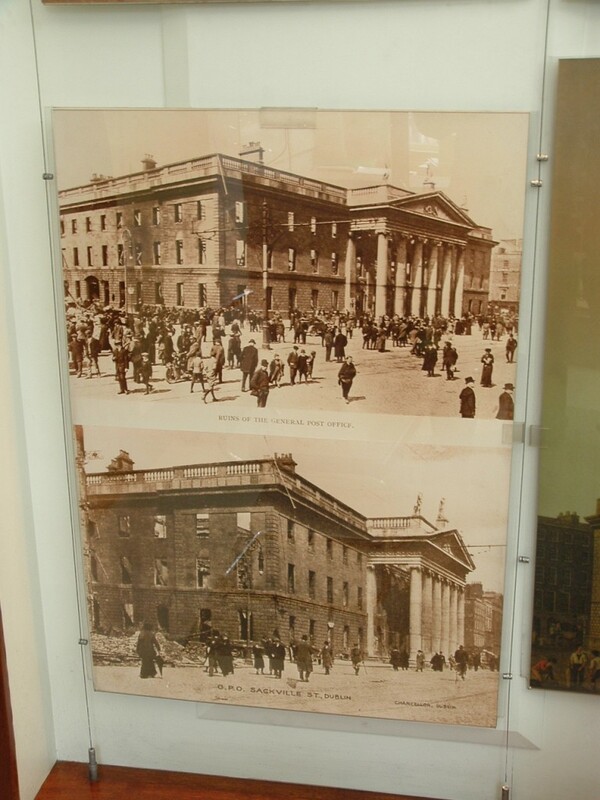 As a further consequence, no further organised action took place at the GPO over the next few days, the centre of attention, and indeed the fighting, moving to elsewhere in the city. 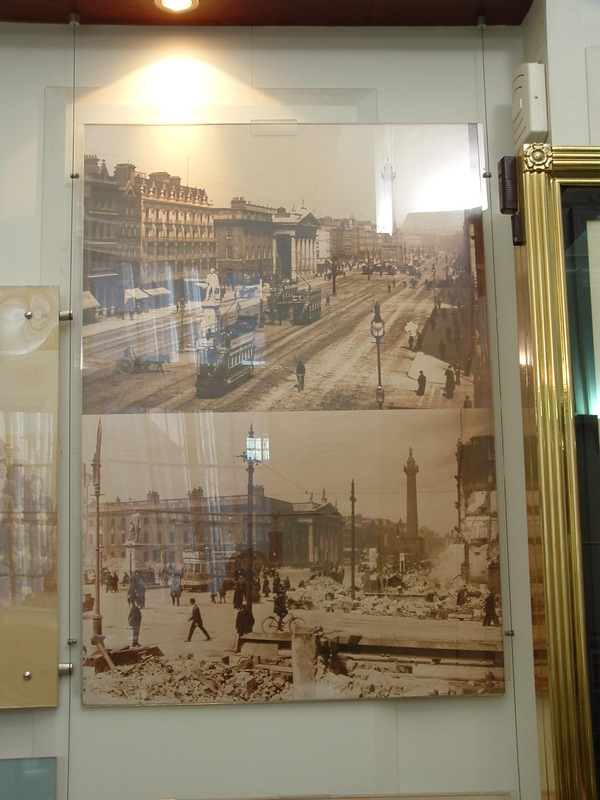 Until the morning of Thursday 27th April, that is, when British artillery began firing on Sackville Street and the area surrounding the GPO. A nearby warehouse, owned by the Irish Times, was hit several times, setting fire to the combustible materials within. Before long, fire had spread to neighbouring buildings, and by nightfall the whole of the centre of Dublin glowed red with flames. 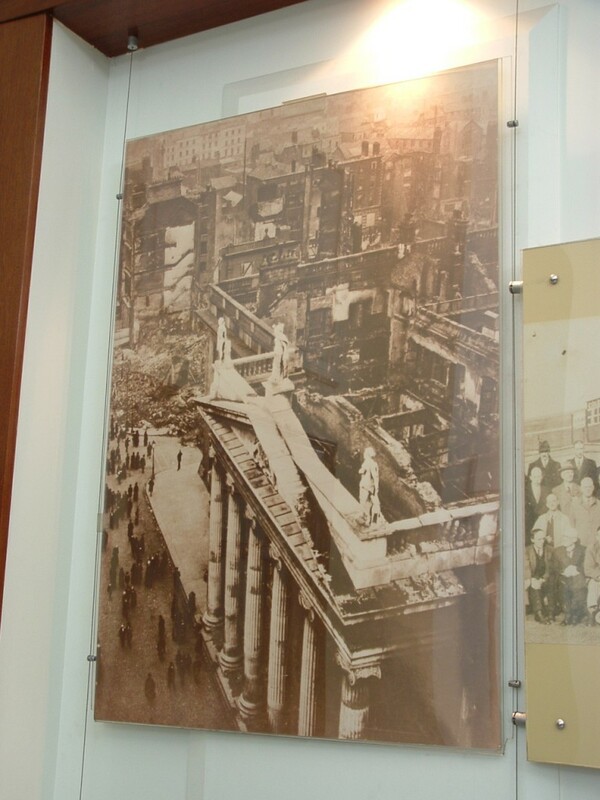 At 10.00pm Hoyte’s Druggists & Oil Works, located on the opposite side of Sackville Street to the GPO, exploded in a ball of flames, showering burning debris across the area, small fires taking hold on the roof of the GPO itself as Thursday turned to Friday. Despite attempts to douse the roof with water, the fires took hold of the upper storeys, and by Friday evening the decision was made to evacuate the building and attempt to set up a new headquarters elsewhere. 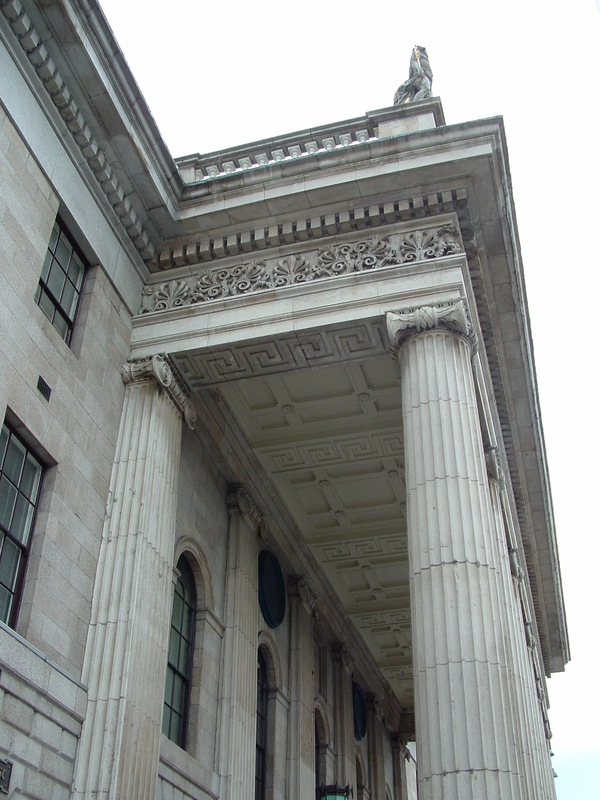 Events during the evacuation of the GPO will be the subject of a later post, as the rebels attempted to leave the building and make their way to their proposed new headquarters in nearby Middle Abbey Street. …but at least both plaques are legible. 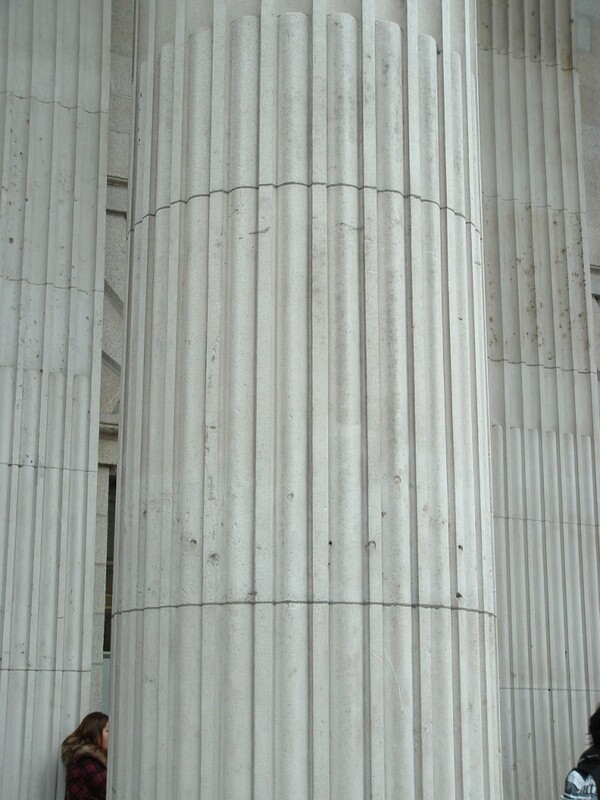 And, metaphorically and apolitically, so we shall. Next: Dublin Castle. Very interesting Mark. And what an interesting area of research. You might, if you’ve read other posts here, have noticed that Gertrude Jekyll gets a mention every now and then – not that she was lost in any way, but you get the drift. 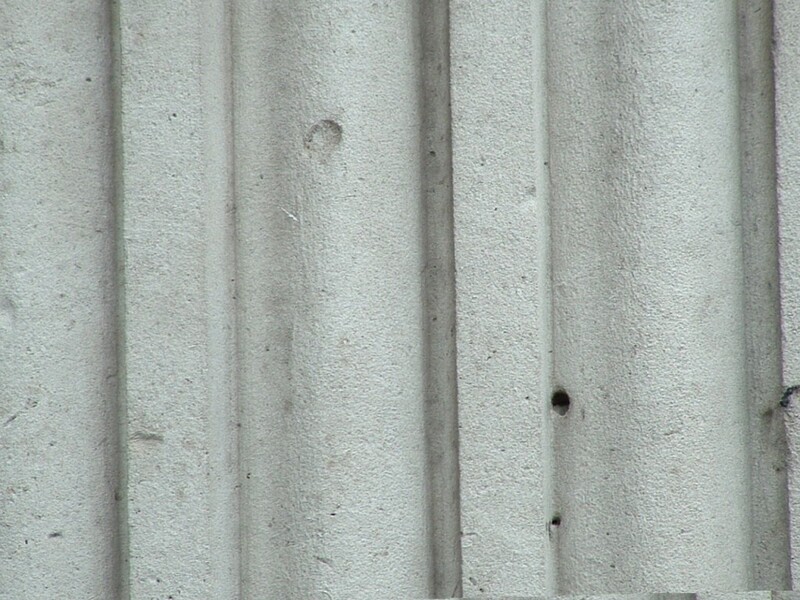 I have just looked Alan Ramsay up (briefly). 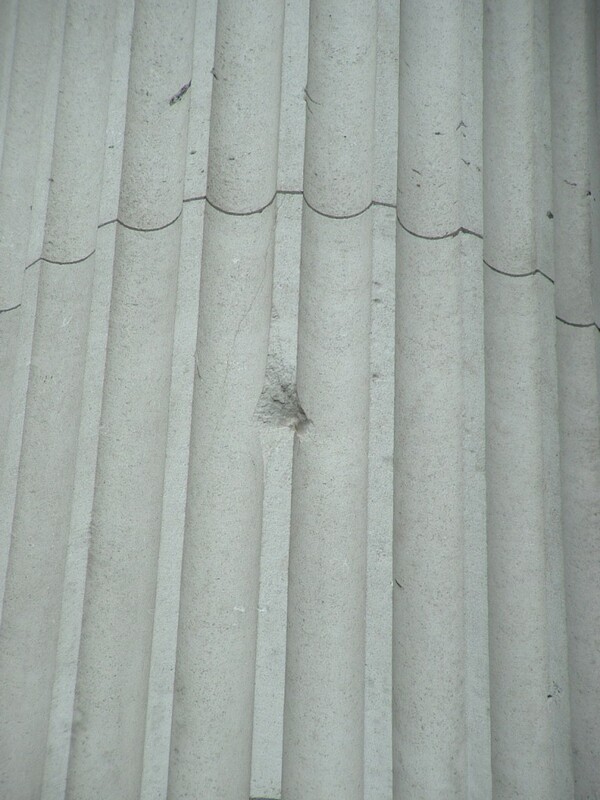 It seems he was killed at the South Dublin Union, although the circumstances are unknown. I might well give him a mention in a later post. I’d be interested to know which barracks he was at if you happen to know.